- Conduit Entrances: Two openings for ½ in. conduit. The Fire sensor is used to detect fire flames . The module makes use of Fire sensor and comparator to detect fire up to a range of 1 meters. • Typical Maximum Range :1 m .
- Detecting gas: natural/methane gas and propane gas, lpg gas etc combustible gas. - --With special circuit(MCU processing control and SMT manufacture Technology). 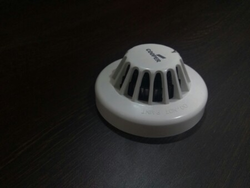 We provide highly sensitized sensors to our clients, these alarms are reliable and can quickly detect fire. These sensor monitors rise of temperature in the vicinity. 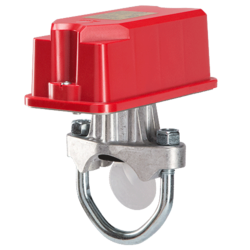 The equipment makes use of different kinds of smoke and heat sensors, which in turn are linked in a loop to fire alarm control panel. Our company has gained immense accolades in the field of offering Fire Alarm System Sensor. This product is a new saving-energy switch, it adopt good sensitivity detector, integrated circuit. In order to retain our goodwill in this industry, we are providing a latest array of Fire Sensor.